Three CP Rail crew members have died in a train derailment near Field, B.C. Three CP Rail workers have died following a derailment near Field, B.C. sometime overnight on Sunday. The Transportation Safety Board of Canada’s Rail Division has confirmed they are sending a team of investigators to the scene of the derailment. in a statement, CP Rail spokesperson Salem Woodrow confirmed the derailment took place around 1 a.m. Mountain Time on Sunday. ”It is with great sadness that CP reports that three crew members on board were fatally injured in the incident,” read the statement. 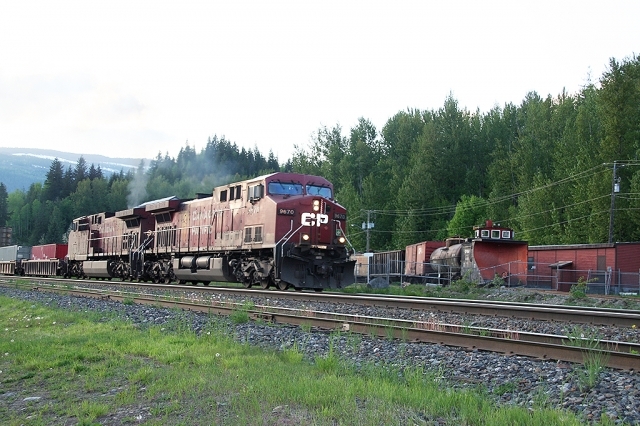 CP Rail has identified the three men killed in the derailment near Field, B.C. They are conductor Dylan Paradis, engineer Andrew Dockrell and trainee Daniel Waldenberger-Bulmer, all of Calgary.